This archive holds all posts form February 2012. Watch End Black History Month? on PBS. See more from Independent Lens. A growing feeling that African Americans continue to be seen as “Other Americans.” Watching how folks were treated during Hurricane Katrina and listening to pundits refer to those victims as refugees intensified that notion. I thought that this ideal of “other” is reinforced in society by things like Black History Month. That, combined with the new idea that we live in a “post-racial” America, led to an interest in exploring these themes. You can find the film via PBS’ Independent Lens series. There are an increasing number of interracial marriages (h/t Ronald Jackson). Until fairly recently (the late 1960s in many states), such relationships were illegal. And, indeed, the fear of interracial marriage among white animated much of the passion around the anti-civil rights movement in the U.S. A new documentary offers terrific insight into the history of the fight surrounding interracial marriage. The film is currently available on HBO on Demand. If you’d like to read more about interracial relationships in popular culture, I suggest two books by (my CUNY colleague) Erica Chito Childs Navigating Interracial Borders: Black-White Couples and Their Social Worlds and Fade to Black and White: Interracial Images in Popular Culture. Today is Mardi Gras (French for “fat Tuesday”) is the celebration of debauchery before the beginning of the Lenten season of sacrifice. 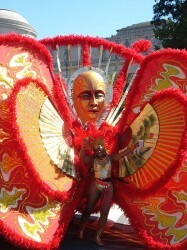 As it is celebrated in New Orleans, it’s also a fabulous celebration of black history. 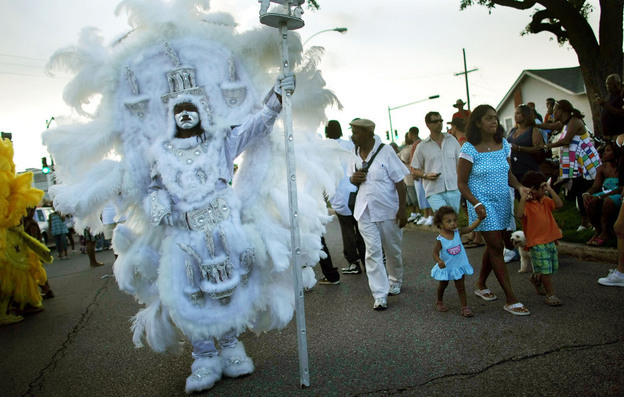 NPR ran a story today (h/t Karen Hanson) about the Mardi Gras Indians who have a rich history, dating back to slavery. Native Americans often helped escaped slaves navigate their way to freedom and sometimes former slaves lived within Native American communities as free people. The outfits of the Mardi Gras Indian groups, who call themselves “tribes,” are inspired by Native American ceremonial regalia. Members call these costumes “suits,” and it can take up to a year to create the intricate designs out of thousands of sequins, beads and pounds of feathers. In this way, the costumes are strikingly similar to those on display at the West Indian Day Festival in Crown Heights Brooklyn each summer. Both celebrations speak to the power of resilience in the face of oppression and the similarities suggest the ways that diaspora shapes culture. For more about diaspora, check out Theorizing Diaspora (Wiley-Blackwell, 2003). Here in New York, people of good conscience are horrified by the practices of the NYPD that systematically target young African Americans and Latinos. Now, a courageous interracial group of activists is working to take on the NYPD’s racist practices (h/t @CarlaMurphy for this story). This February marks the first wave of trials for a loose-knit group of activists who have been arrested after responding to a call put out last fall by Princeton professor Cornel West and his longtime friend Carl Dix, a national spokesperson for the Revolutionary Communist Party. Inspired by the nonviolent civil disobedience campaign of the Freedom Rides to draw attention to segregated interstate bus travel during the 1960s, West and Dix’s Stop Stop-and-Frisk campaign seeks to raise awareness of what they say is a racist policy that targets and criminalizes black and Latino men. “We’re always hearing about post-racial America, but if you look at the criminal-justice system, you know that race is still with us,” says Derek Catsam, history professor at the University of Texas of the Permian Basin and author of Freedom’s Main Line: The Journey of Reconciliation and the Freedom Rides. It’s long past time for a coalition of activists to work on changing the stop-and-frisk policies of the NYPD. The stop-and-frisk policies are notoriously racist in their implementation, if not their design. According to the NYCLU, only 10 percent of stops led to arrests, or even tickets. 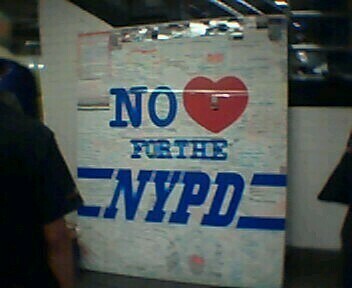 The overwhelming majority of New Yorkers stopped and frisked by the NYPD were engaged in no criminal wrongdoing. Of those stopped in a given year, approximately 55 percent of the stops were of black people – more than double their percentage of the population – and 30 percent were of Latinos. Stops of whites amounted to only 2.6 percent of the stops. Besides the kumbaya imagery of many races working together for racial justice and modeling the Freedom Riders’ integration ideal, there is a practical and strategic element to expanding the stop-and-frisk protesting ranks to whites. Alicia Harrington, a 24-year-old African American Bronx resident, helps to plan Stop Stop and Frisk civil-disobedience demonstrations but has three months left on probation and worries about an arrest for protesting. “A lot of young black and Latinos have prior convictions or are on parole, and it intimidates them from acting,” Dix says, admitting that the population most targeted by stop-and-frisk is also the least able to demonstrate against police brutality. But, “as a white man,” says 29-year-old social worker Nick Malinowski, “I have the privilege of being able to get arrested for civil disobedience when other people might not.” Malinowski, who the last six months has organized five stop-and-frisk demonstrations in every borough except Staten Island, has one arrest for protesting. I agree with Murphy that it’s not clear whether these protests will bring about real change. But, the fact that they’re happening at all is very good news for social justice. If you follow basketball at all, you’ve no doubt heard about Jeremy Lin, the basketball sensation currently playing for the NY Knicks. Lin’s story is one of a classic underdog. No NBA team drafted Lin out of Harvard. The Golden State Warriors signed him and then waived him after one year; the Houston Rockets waived him after two weeks. Until just a few weeks ago, he was sleeping on his brothers’ couch. Once he got the chance to play with the Knicks, scoring an astounding 38 points (against Kobe Bryant’s 34 points), Lin became a sensation, puns abounded (“Linsanity!”) and remarkably, almost no one – hardly an NBA coach, general manager, scout or fan — saw it coming. Jeremy Lin is also Asian American, and the NBA’s first American-born player of Chinese or Taiwanese descent. So, in the white-dominant culture of the U.S., this necessarily means that race is central to Lin’s story. As David J. Leonard point out, Lin’s success has energized many in the Asian American community who see in Lin a role model, while at the same time, highlighting the persistence of racism. ESPN has now fired the employee responsible for an offensive headline. 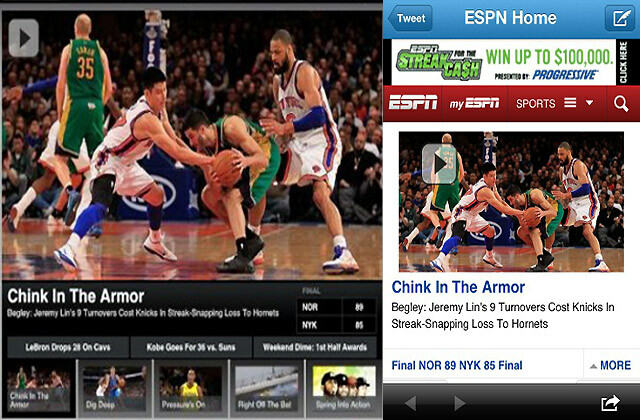 In a statement today, ESPN says it conducted a thorough review and dismissed the employee responsible for the headline “Chink In The Armor” about Lin’s nine turnovers during Friday night’s game. ESPN says it removed the headline 35 minutes after it was posted. The term “chink” is a racial slur, used to denigrate people of Chinese descent. More than apologize, it seems that ESPN needs to review its internal policies and beef up the corporate diversity training on the use of racial slurs. In addition to the devastating historical account of the brutal oppression of African Americans by white overlords, there is a meta point to be made about the project as well. What Blackmon, along with filmmaker Sam Pollard and unnamed web production staff at PBS, have created here is a triumvirate of knowledge production in the digital age: a book, a documentary film, and an interactive website with additional materials. This, my scholarly friends, is the wave of the future in knowledge production. Doctoral students in the social science and humanities, take note: time to begin forging those collaborative working relationships with your friends in visual media, art and interactive design (and/or, cross-training on skills). Interestingly, Blackmon has done this innovative scholarly project as a journalist and with the largess of his employer, the Wall Street Journal. One of my graduate school advisors used to say that “sociology is slow journalism,” but the reality is that really good journalism takes a long time – Blackmon says he thought this project would take him 2 years, but it ended up taking 7 years (the average length of time to complete a PhD dissertation). It would be great if more PhD-degree granting institutions began to recognize the potential for such cross-platform forms of knowledge production. You can watch the entire film, “Slavery By Another Name,” along with the “Making Of…” on the PBS website, here.